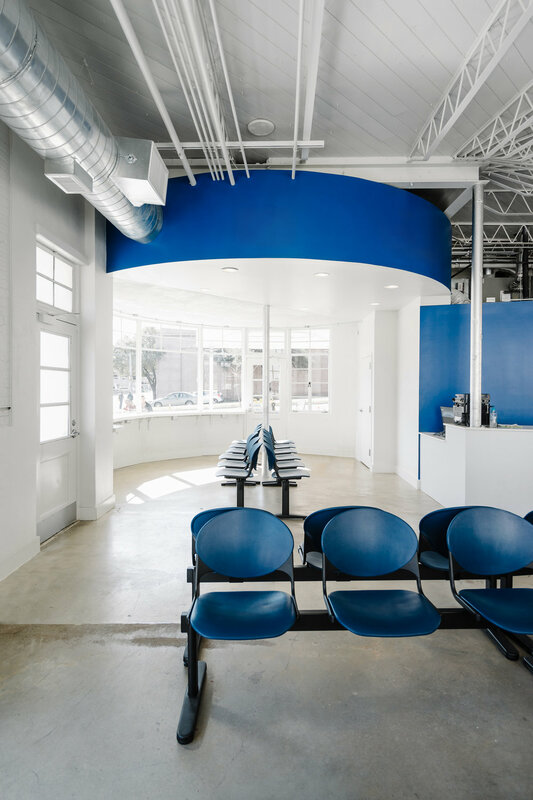 Derrington Building Studio is an architectural practice that connects modern sensibilities with thoughtful experiences. 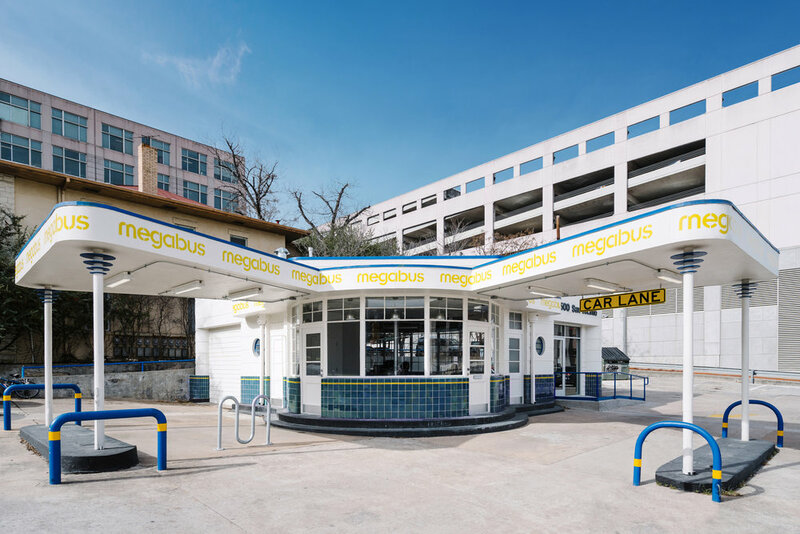 MEGABUS - A neglected 1940s gas station created an opportunity to revitalize the existing structure, adapting it into a modern day bus stop for Megabus. 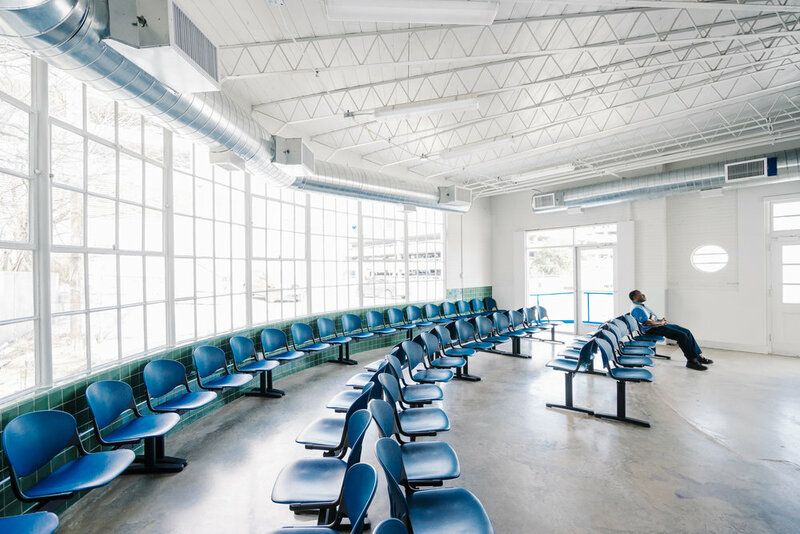 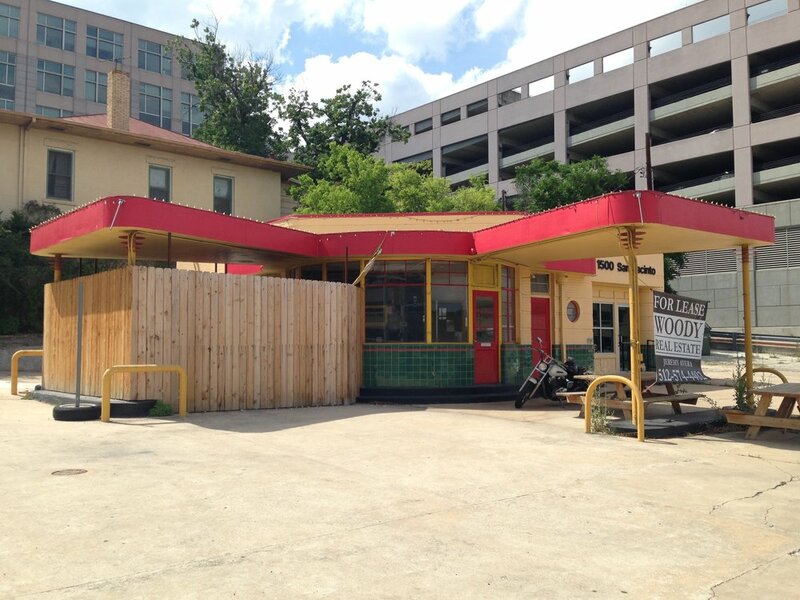 Located on a corner lot in Austin's downtown urban center, maintaining accessibility and visibility were primary considerations. 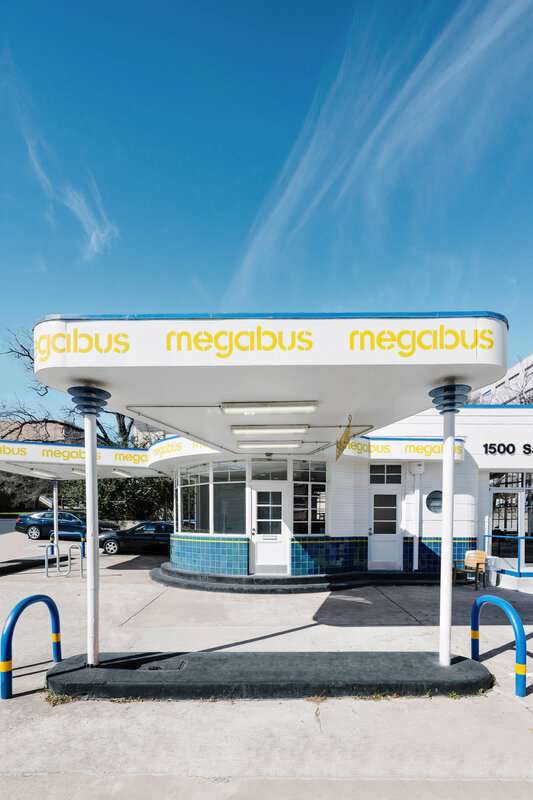 The goal was to revive the structure by preserving the original character of the building and protecting and enhancing its unique character. 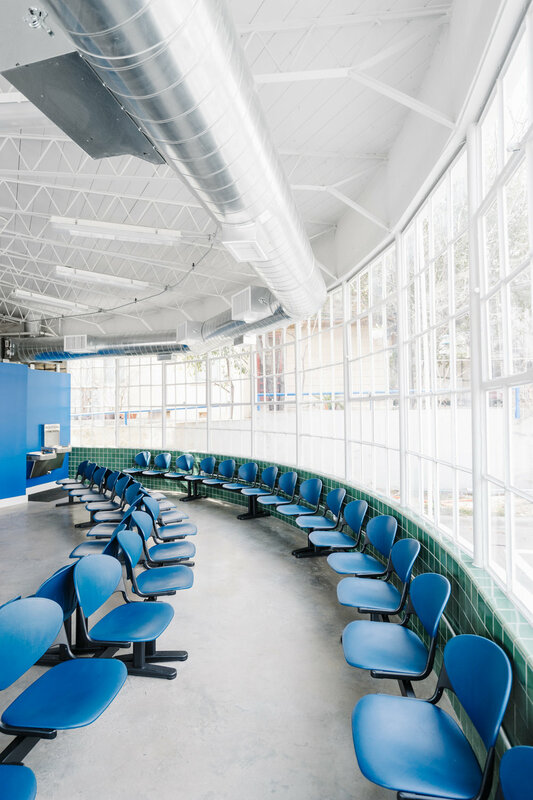 The result is the evolution of a traditional transportation hub to a more contemporary use within an urban context.